Ed. 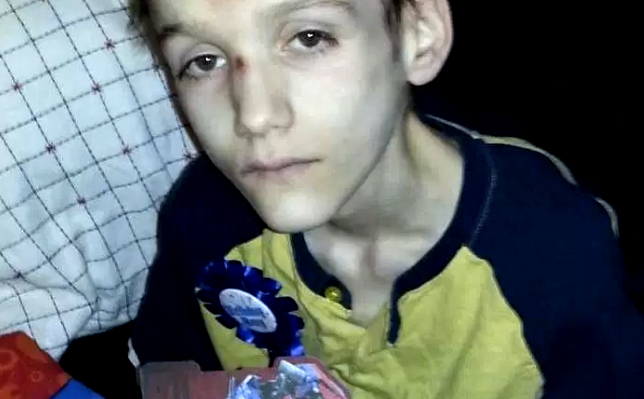 note: In Calgary, Canada, the recent death of a diabetic boy, who was so emaciated he appeared mummified, led to murder charges for his parents, who refused to bring him to a doctor because of their religious beliefs. In Idaho, parents are allowed by law to shield their children from medical care, even when faced with potentially life-threatening illnesses or injuries, in lieu of prayer or faith-healing. Idaho is one of six states in the U.S. where religious exemptions are allowed in the deaths of minor children, protecting parents from possible negligent homicide charges. This means if a child dies because they weren’t treated with medicine, the parents are not legally held responsible. One local religious group that eschews most forms of modern medicine is the Followers of Christ. A former member of the church tells KTVB that because prayer is the only remedy used in the church, children are suffering and dying of preventable and curable ailments. “My first memories were my mother lifting me up and holding me up so I could look into a coffin and look at dead people,” said Linda Martin. KTVB obtained over a dozen autopsy reports from children of Followers of Christ members that have died since the early 2000s. Causes of death in those reports included flu-like symptoms, food poisoning, pneumonia, and still births. It’s something that Martin saw first-hand. “I watched my baby cousins die,” she said. “Later on when I left the church I watched my 2-year-old nephew die. The deaths of children from treatable ailments stand as a symbol to some that it’s time for a change. Canyon County Sheriff Kieran Donahue says he thinks religious shield laws create a double standard. Canyon County Coroner Vicki DeGeus-Morris disagrees, saying the law should be left alone. DeGeus-Morris and her office are called to every child death in the church. She says fears that the laws are being used to cover up child abuse are unfounded.